With only one senior graduating last season, a strong core of young shooters for St. Mary’s come back to the trap houses of CCGC and a handful of new recruits show promise for the upcoming Spring League. TOP RETURNERS. A trio of Freshman shooters lead the way for the Saints, as Logan Heen (21.0 Sp ’18 avg), Isaac Wanner (19.8 Sp ’18 avg) and Dawson Mills (19.6 Sp ’18 avg) with Junior Logan Vetter (19.2 Overall ’18 avg) rounding out a developing varsity core. They’ll look to Eighth Grader Jackson Wilson (19.0 Fall ’18 avg) to continue his rise after adding 3.3 targets to his average last fall and cement a strong top five for state this season. ONES TO WATCH. 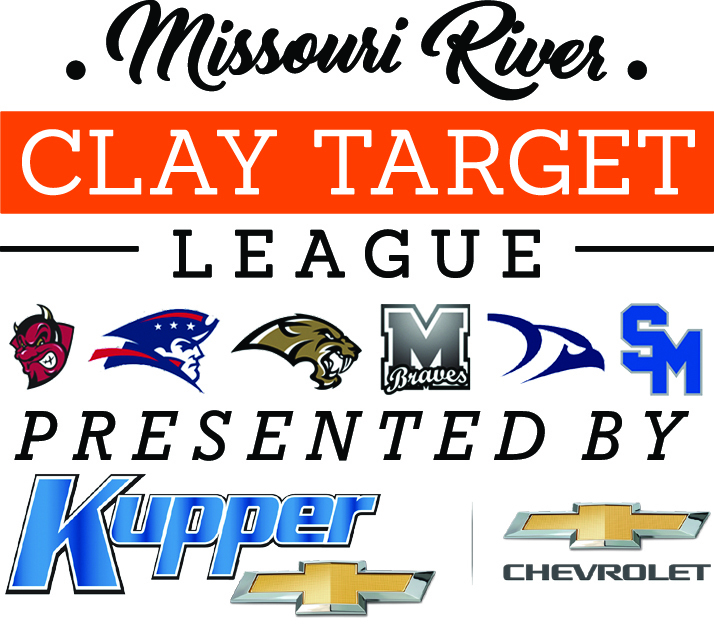 Senior Charles Reichert and Sophomore Luke Vetter look to move their averages from the mid-17s this season and add to the team’s stock of top-level shooters. OTHER NOTES. The Saints add five new shooters to their ranks this spring, with four of them being Freshman class or younger. St. Mary’s will be coached by the trio of Vance Vetter, Doug Scheetz and Dennis Wanner this spring. That concludes our spring preview series. 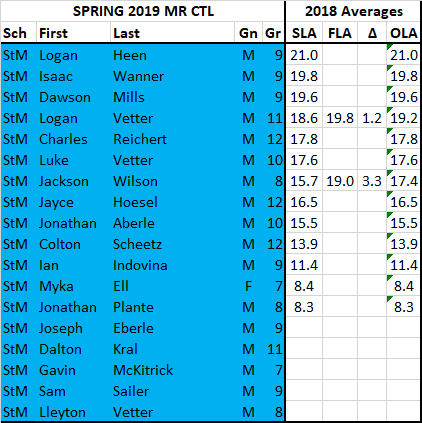 Bookmark MRCTL.org and check in every week this spring for our recaps and recognition of top performers!